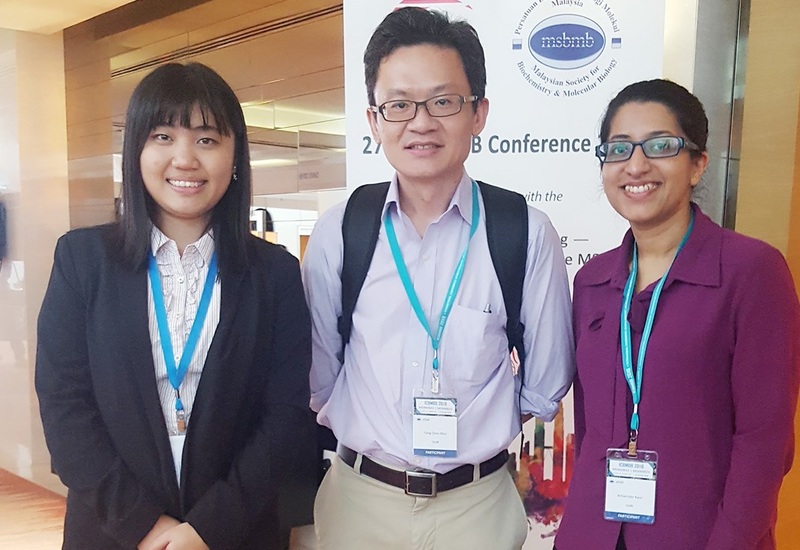 Congratulations to our PhD students, Ms Loh Fei Kean and Ms Ashwinder Kaur for winning prizes at the International Conference on Biochemistry, Molecular Biology and Biotechnology (ICBMBB). Both students are currently under the supervision of Dr. Fang Chee Mun (Biomedical Sciences Department). The conference was held at Four Points by Sheraton Puchong from 15th to 16th August 2018. It was jointly organised by the Malaysian Society for Biochemistry & Molecular Biology (MSBMB) and Malaysia Society for Molecular Biology & Biotechnology (MSMBB). This scientific meeting gathers researchers from different disciplines related to biochemistry, molecular biology and biotechnology to deliberate on remarkable new research findings towards better collaboration in the future. Three PhD students from Biomedical Sciences Department presented orally in the conference. Ch’ng Qin Ting, supervised by Dr. Then Sue Mian, has delivered a 12-minute oral presentation. 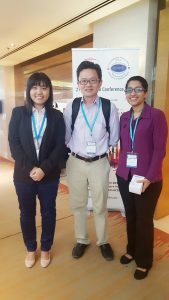 Meanwhile, Diem Nguyen, supervised by Dr Pung Yuh Fen, and Fei Kean have competed in the Young Investigators Rapid Oral Session, organised by ICBMBB in collaboration with Young Scientist Network (YSN) – Academy of Sciences Malaysia (ASM). Out of the 20 Rapid Oral participants, Fei Kean won the second prize! She has received an YSN-ASM Young Investigator Award. Her presentation title is “Development of enhanced fitness Salmonella live vector bivalent vaccines against Toxoplasma gondii”. A total of 55 posters were presented in the conference. We are proud to have Ashwinder, from School of Pharmacy, as the winner of Best Poster Award! The title of her poster is “Role of Interferon Regulatory Factor 5 (IRF5) in the regulation of Interleukin (IL)-13, a key mediator of allergic asthma”. Dr. Fang Chee Mun was supporting his students, Fei Kean (left) and Ashwinder (right) in the conference. “We are grateful for having the chance to participate in this rewarding conference. The great experience has built our confidence to present our research to the scientific network. We would also like to thank Dr Fang for his guidance and support throughout the participation”, by Fei Kean and Ashwinder. Overall, the participated students have gained the opportunity to showcase their research findings and exchanged ideas with researchers from different institutions. Congratulations all winners! I wish you all lots of health, wealth & prosperity in your life. Good Luck with your future.